The Coachman  - $729.00 : Gas Light Conversion to LED!, Looks like a Gas Light! The Coachman conveys the grace and affluence of a European Manor, presented either with elegant S-curve supports or more simply in direct mounting. 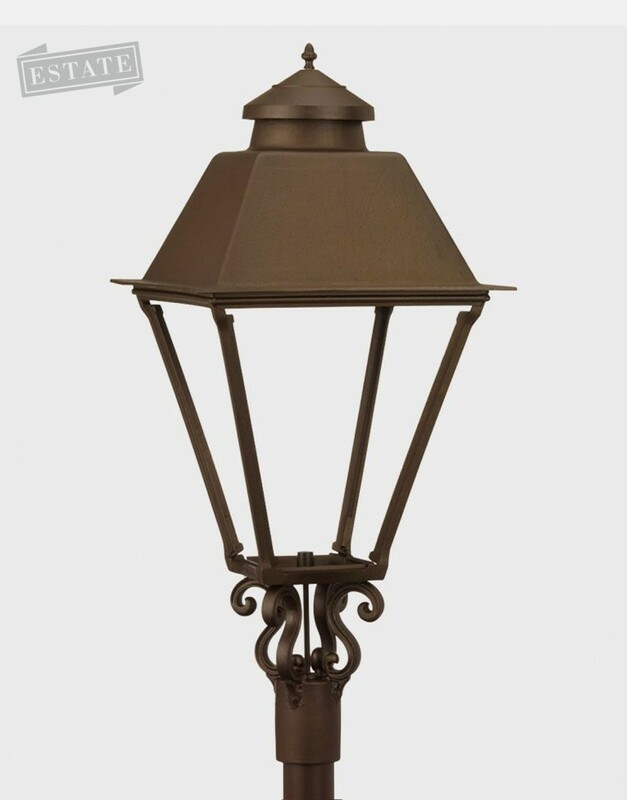 In post mountings, the Coachman lamp illuminated the historic Post Roads of the English countryside as well as stately Continental country manors. The Coachman stands an impressive 42 inches tall, adding drama and character to Estate Homes and historic restorations.